From my last pack of Tz Artistic-film. this makes me so sad - artistic tz film is all i shoot with ... i don't know what i'm going to do! I have to say I love the light in this photograph, how it is reflected in your hair & skin & dress. So beautiful. I still say you should consider doing a book of Polaroids. They are all wonderful. I love the tones and the colors. I want to try that film. Jag älskar den här bilden. så enkel men ändå stark på något vis. färgerna är underbara, också. den där filmen är ggrrym. Awesome photos! Or should I say: art works. samuel: I know! I'm sure you can still find some on ebay though? 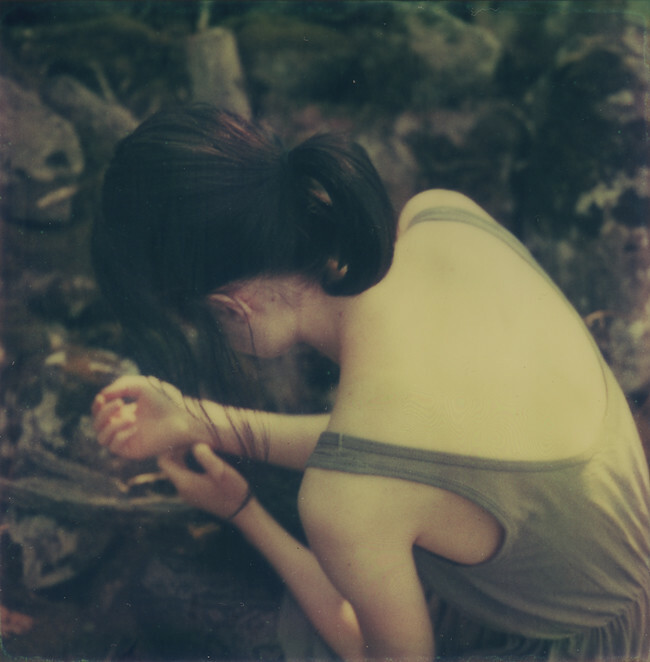 otherwise you could try out the new color shade film from the impossible project. alexandria: you should, it is a lovely film. I do find it to be a little on the low side when it comes to the contrast, it is usually very pale and muted. viability: I don't mind at all, thanks a lot! thanks a lot for all the comments guys!